The year 2012 is turning out to be a hard year for the enemies of the Empire and its tegument of lies. Death is silencing some powerful voices. In June we lost Alex Cockburn, now Vidal. 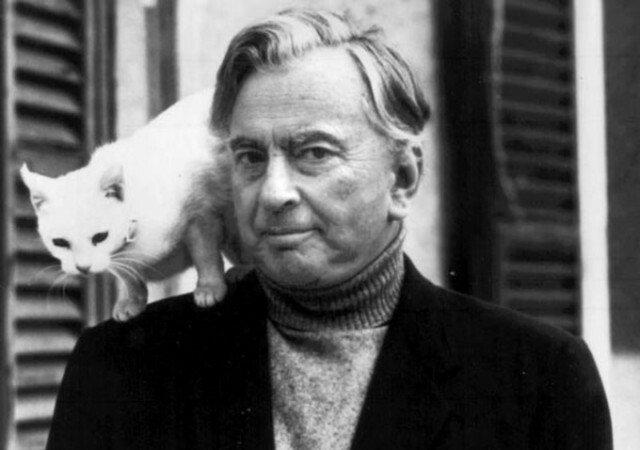 Protean in talent and interests, Gore Vidal was a complex man who did not fit under one or two labels. Contrarian by nature, an intellectual lion by any standard, and an early and calmly defiant overt homosexual with some heterosexual frissons thrown in to confuse those who like things nice and predictable, Gore Vidal cast a long and exemplary shadow on American culture for much of the 20th century. He was that rare bird: a true original writer whose public persona easily overshadowed the legacy of his own books, and he had no real competitors or imitators. Enfant terriblism defined him from the start, perhaps as the natural allergic reaction of a free spirit to the stifling parochialism, priggishness and conformity he found in American society, so it was pretty much inevitable that, despite his own ties to the native aristocracy (such as it it exists in the US), he could never resist shocking the bourgeois and the comfortable, a sport he maintained throughout his 86 unapologetic years of residence on earth. Mired in philistinism and banality, to a man like Gore Vidal America provided enormous targets. It hardly needs stating that to most of his legion of conservative critics and defamers Vidal was a degenerate, a shameless libertine, a man without decency or social restraint, a contumacious hedonist… an American de Sade. (He rightly considered such invective a mark of honor). Given this invidious billing, this crowd will probably be surprised to hear Gore Vidal described as a social moralist, but that’s what he was, for at the end of the day a true moralist in the deepest sense of the term is one who fights for the higher virtues: justice, tolerance, the advance of reason, and the triumph of compassion. All core Enlightenment values. And as Vidal said on a number of occasions (claiming no originality): a social peace not grounded in social justice is suspect. And although the magazine did not survive long for the usual reasons that afflict undercapitalized left publications, he never lost faith in the possibility of its rebirth. Eventually Cyrano was reborn, albeit as an online political affairs monitor. Later, in 1986, another fine publication, FAIR (Fairness & Accuracy in Reporting) came to the fore as a dedicated media watchdog serving the left. In part the new outfit, much as Cyrano had been, was a response from the left to the lies and propaganda spread by the odious Reed Irvine and his misnomered Accuracy in Media (AIM), amply financed since the early 1970s by rightwing tycoons to fight what they cynically claimed to be the “media’s leftist anti-corporate bias”—an oxymoron if there ever was one. In Gore Vidal the American and international left had a unique and honorable champion. Unburdened by false modesty, he saw himself as something of a Voltaire for our age, and in that he was correct. But by character and disposition, in the sheer pleasure he derived from battling the outsize forces of privilege and obscurantism, I would say he was also very much like Cyrano de Bergerac. And like Cyrano, he leaves behind his immaculate panache. Patrice Greanville is The Greanville Post‘s editor in chief, and publisher of Cyrano’s Journal Today. Let’s keep this award-winning site going! Yes, audiences applaud us. But do you?If yes, then buy us a beer. The wingnuts are falling over each other to make donations…to their causes. We, on the other hand, take our left media—the only media that speak for us— for granted. Don’t join that parade, and give today. Every dollar counts. Use the DONATE button below or on the sidebar. And do the right thing. Even once a year. Use PayPal via the button below. Thank you Patrice. Well honored; and he will be well missed. Simply a terrific tribute to a complex and at times contradictory man, but who had no peer in eviscerating the very heart of this horrific nation—especially his skill (and delight!) in puncturing our moronic policies, farcical media, and insufferable hypocrisy. I exchanged only passing pleasantries with him, as he was close with [George] Plimpton, whom I lived on the same block with in Manhattan. Plimpton lived on the East River on 72 Street, and Vidal was one of the regulars at Plimpton’s frequent parties. As you noted in your elegant tribute, as much as Vidal detested this nation, he had no difficulty reveling in its pleasures within his select circle. I, and countless others, immensely admired the man, but the highest opinion held of Vidal was by Vidal himself. Indeed, not unlike Buckley, humility was a stranger to Vidal! He led a full and productive life, but for all his talent and wit, only Vidal would have compared himself to the Voltaire of this age. That being said, he certainly was a rare voice of sanity who will be sorely missed. 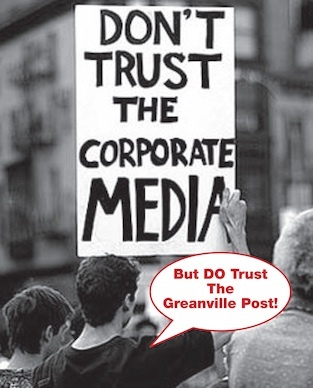 Note: Ed Duvin serves as Editor at Large with The Greanville Post and Cyrano’s Journal Today.